Present information in stunning new ways by transforming CSS elements in two- and three-dimensional space. Whether you’re rotating a photo, doing some interesting perspective tricks, or creating an interface that lets you reveal information on an element’s backside, this practical guide shows you how to use them to great effect. Short and sweet, this book is an excerpt from the upcoming fourth edition of CSS: The Definitive Guide. 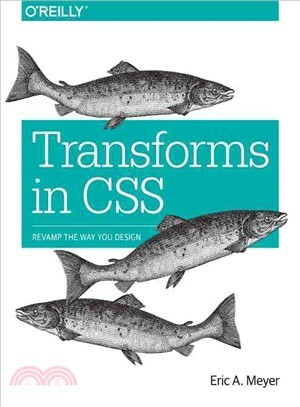 When you purchase either the print or the ebook edition ofTransforms in CSS, you’ll receive a discount on the entire Definitive Guide once it’s released. Why wait? Learn how to bring life to your web pages now.